I’m sweeping, collecting grit, crumbs, hair, and bits of this and that from the wood floor. The movement, back and forth, back and forth across the floor, calms my already mounting anxieties about the day. Back and forth, under and around, left and right my broom and I move across the floor of our home leaving small piles here and there to be swept up with the dust bin and washed down the kitchen sink—a practice my family finds disgusting. My daily request is for no one to barge through my morning reverie scattering the accumulation of my work (an offering of sorts to the ancient Gods of home and hearth) back into the corners of our life. “Don’t step in the pile,” is a directive my children learned from me and use often when given the sweeping chore. My husband too doesn’t understand my need to sweep. He loves the vacuum and doesn’t realize how disturbing I find the noise. The burr of the motor halts all conversation in our home disrupting my sense of life’s musical pitch . Vacuuming relaxes my husband. But for me the pushing forward and back of the machine feels like work. Sweeping is a dance—to the right. Pull in. Right pull in. Step to the right, out and pull in again. Yet I don’t sweep to just rid our home of its souvenirs from last night’s dinner, soccer game mud, winter road sand, midnight snacks, or dust bunnies. I don’t sweep just to have a few moments of silence or to meditate or as a form of exercise. I don’t sweep in opposition to my mother or husband. Women have swept their homes in all seasons for thousands of years whether that home was a tent, long house, earthen stuga, log cabin, farm house, apartment, or suburban ranch. Women have swept up after others as daughters, servants, slaves, wives, mothers, and grandmothers. Women have swept up after a house full of people or only one or two. Women have swept even when there was nothing more to sweep. Of course men sweep. But the lineage of this action in the home is still young, just decades old and in its infancy by comparison. For women, the lineage of sweeping runs deep, long, and universally through our connective molecules to antiquity. 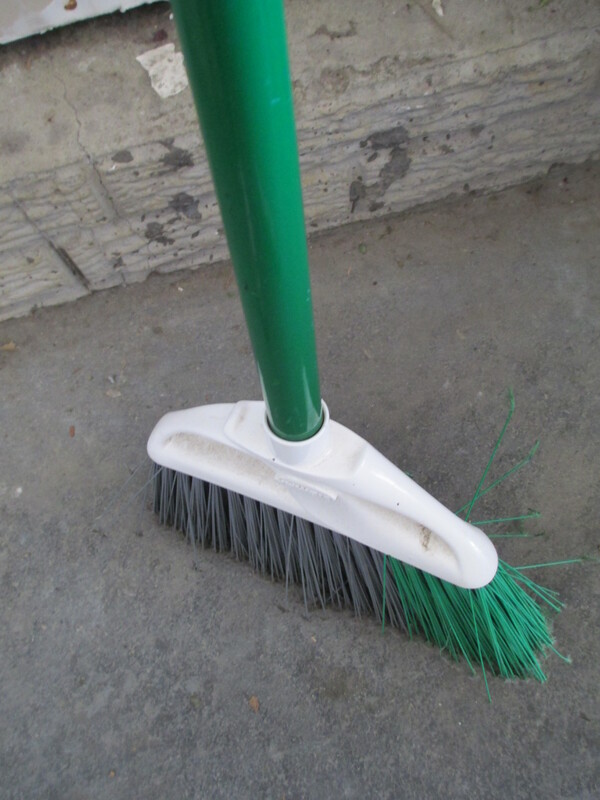 The real reason I sweep with an old style broom spurning modern conveniences such as vacuums, sweeper cloths, and vacuum sticks is because this ancient, non-mechanized, daily task connects me to the past, my past, and in doing so to every woman I am descended from. This connection is not factual, does not contain primary or secondary sources, or even handed-down stories. This connection is visceral and not quantifiable. 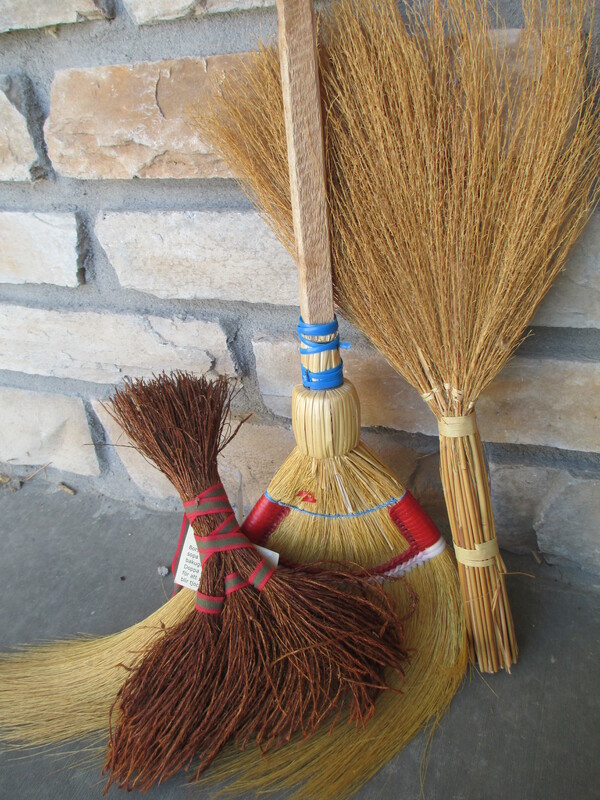 Swedish hearth broom and Filipino brooms for rice. Oh I admit the practice began out of necessity. The crumbs of my life by myself and then with others needed tending to. 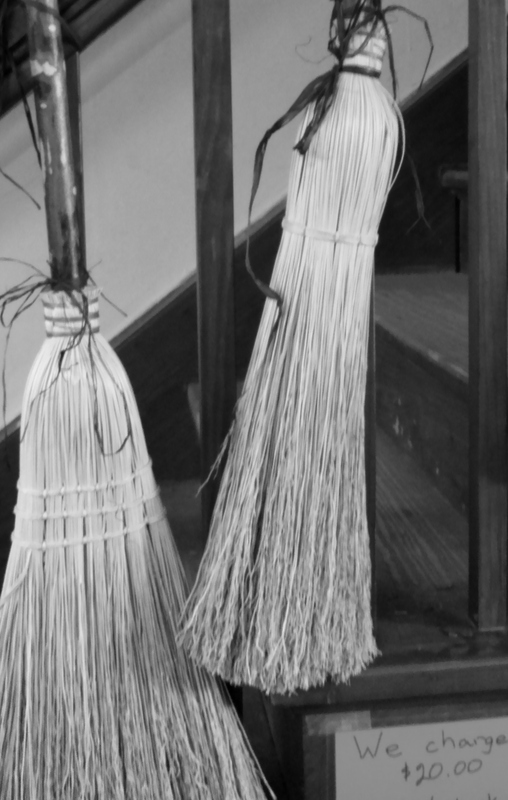 A simple broom was cheap by comparison to other sweeping tools when money was short. But this ancient ritual of making ready for the day, whether in the morning or evening, over time and experience became gift giving. Somehow an emotional door opened, allowing me access to my sisters across time. I felt the ancient stories of their lives told through this daily chore as we shared sweeping with song and dance when full of joy, good news, and accomplishment or with the slow methodical movements when lost in in the sorrow of bad news, illness, worries over children, or the death of loved ones. As women, we sweep because we tell ourselves it must be done. Yet maybe I still sweep because this connection to the past with the movement of the broom grounds me to the earth from which I have come and will one day return. 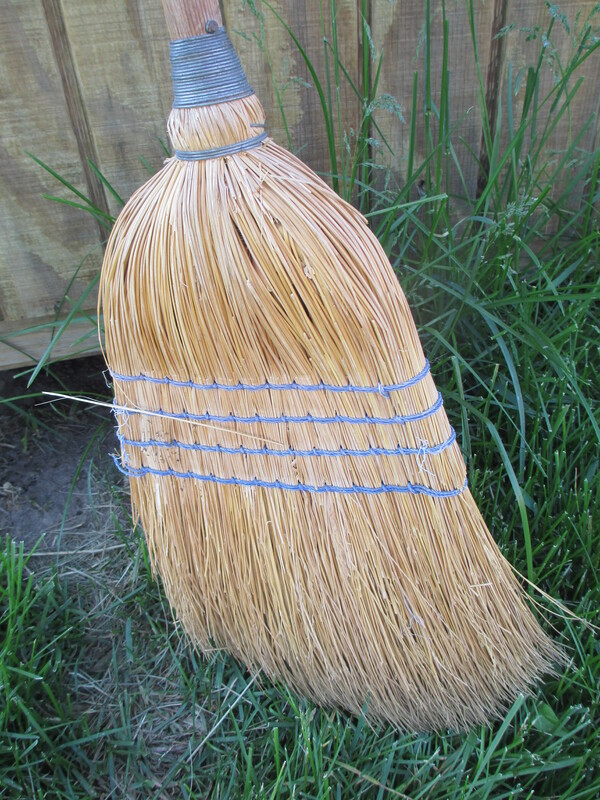 The swish of the broom is the tick of the clock, the set of the sun at evening, the rise in the morning, and a routine which allows me to think when thinking seems impossible. 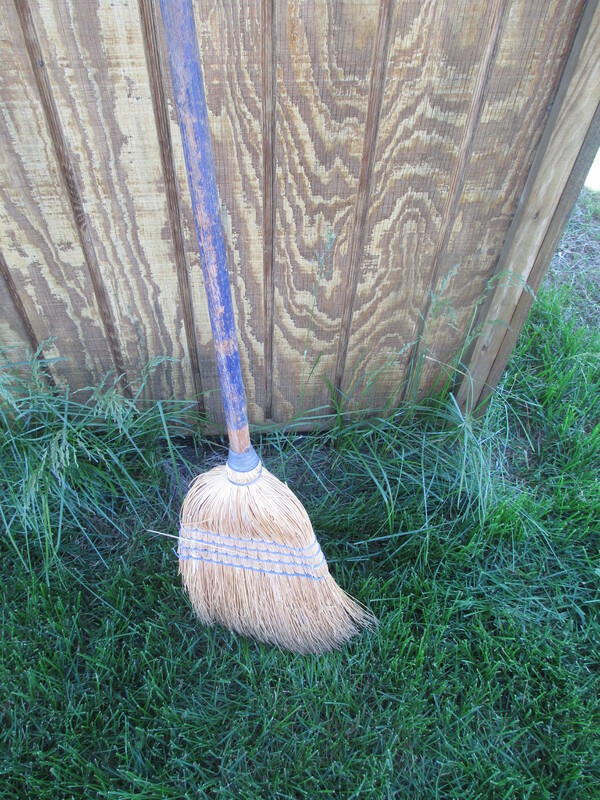 My broom swings again to the right pulling crumbs toward me. Apple pie crust, kale chips, a vitamin, and dust bunny join together forming my first pile of the day. I swing out again pulling in more and in doing so hear women who are strangers to me. Their time and place beyond my knowledge of life. Yet with each movement, I sense their joys, sorrows, frustrations knowing on an emotional, non-verbal level these women tell their stories in the only way they can—through the chores which defined their daily existence. We are not so different, these women I do not have names for or who have passed on within my lifetime or who are still in my life. We sweep across countries, states, towns, land, language, era, occupation, and human rights joined together by a simple, repeating, movement. We are bond together like straw, woven with string to make a broom. We are a sisterhood, sharing as best we can our crumbs, hopes, and dreams. 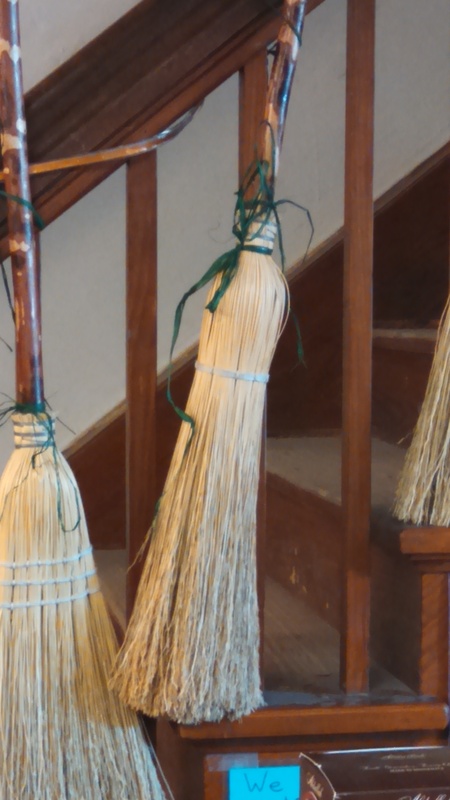 Brooms made the old way.